Most noble-born girls of Tokoyo's age learn to sing, paint, and write poetry. Not Tokoyo. She's the daughter of a samurai in 14th century Japan. Tokoyo's father trains her in the martial arts. When he is away, she escapes to the sea where she works with the Ama - a society of women and girls who dive in the deep waters for food and treasure. But disaster strikes her family. 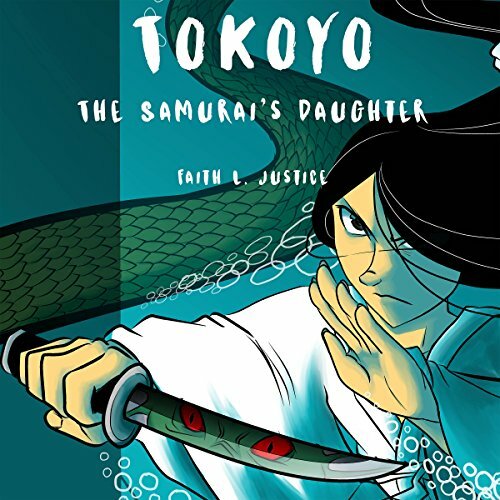 Can Tokoyo save her father using the lessons she learned and the skills she mastered to overcome corrupt officials, her own doubts, and a nasty sea demon?